Quality Lightning Cable for Apple Devices - Sync and Charge all the latest Apple products with ease! Our new Apple Lightning USB Cables are virtually indistinguishable from the genuine Apple product, at only a fraction of the price of the original cable! This is as simple as it gets, too - on one end you have a compact Lightning plug, and after a metre of thin cable, you've got a slim USB 2.0 plug! Now you can save $$$ on this Apple Lightning Cable for iPhone 5 or 5s, iPad Air & iPad Mini and many more future Apple products. 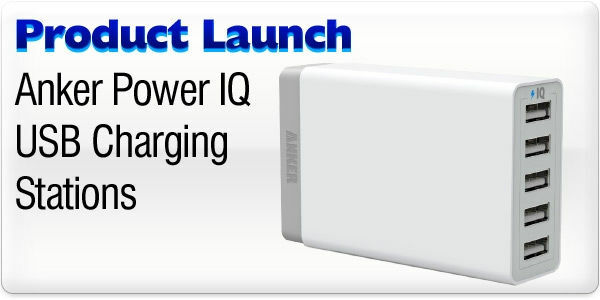 Designed for connecting next-generation Apple mobile products to either PC or Mac for iTunes and power needs. We've tested these puppies, too, so you needn't be concerned about quality - they work great! And we have a 5 Year Warranty on top. Talk about a safe bet! What I love most about these cables over the old 30-pin connectors is that Apple have cleverly designed them to plug in the right way first time every time - there is no 'upside down' when it comes to Lightning. Sadly, that does bump the price per cable up a little bit over the old ones, but we'll always be looking to source you the best deal for the most reliable after-market accessories! Third party accessory - Fully backed by Cable Chick! I've bought a lot of cables, video adaptors, plugs etc from Cable Chick and the value has been excellent and they have lasted well. 6 months ago I bought a lightning cable that did not charge my iPad. Without question Cable Chick sent another which performed the same. They have since change the supplier and have sent me a third cable, this one from the new supplier, which is perfect. This was all hassle free and when Cable Chick was let down by their suppliers they fixed it. Cable Chick has earned their right to be my first point of call for cables. Is there a 30pin to lightening adapter that fits the original iPAD? I'm looking for something I can use to view movies, photos, powerpoint etc. I bought a SanDisk iXpand flash drive however the fitting doesn't work with the original iPad. If there is something, do you have it in stock? Answer: "Unfortunately we do not stock such a product. You could try Ebay, Amazon or Apple."